The San Francisco Open thanks Innova Champion Discs for presenting sponsorship. We could not host this event without their support. 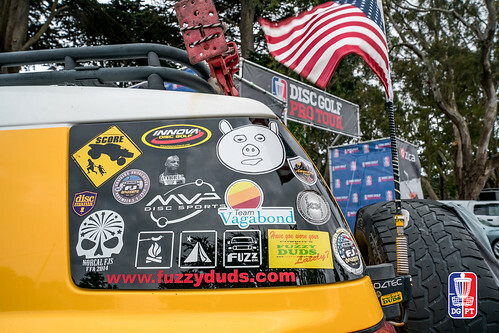 We are very excited to bring the Disc Golf Pro Tour to one of the world’s premier cities. In 2017, Sean Jack, the event TD, put together a kick-starter campaign to get another amazing disc golf course in the city proper. They are preparing the Gleneagles golf course that will be both challenging for the players and spectator friendly. In addition to being well placed in the schedule, taking advantage of the vibrant disc golf scene, and the tremendous opportunities in the city, the San Francisco Open promises to be an amazing event to watch. On January 30, 1847, Lt. Bartlett’s proclamation changing the name Yerba Buena to San Francisco took effect. The city and the rest of California officially became American in 1848 by the Treaty of Guadalupe Hidalgo, which ended the Mexican–American War. On Memorial Day Weekend in 2018, we will add another line to the city’s star studded history.